Build a Bullet Proof rear end. 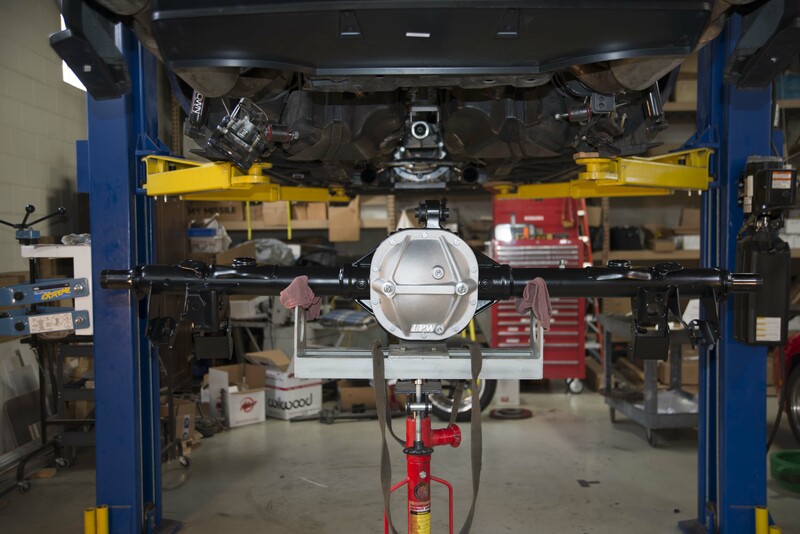 The Strange Pro Touring Floater Kit helps take your vehicle to the next level of performance. 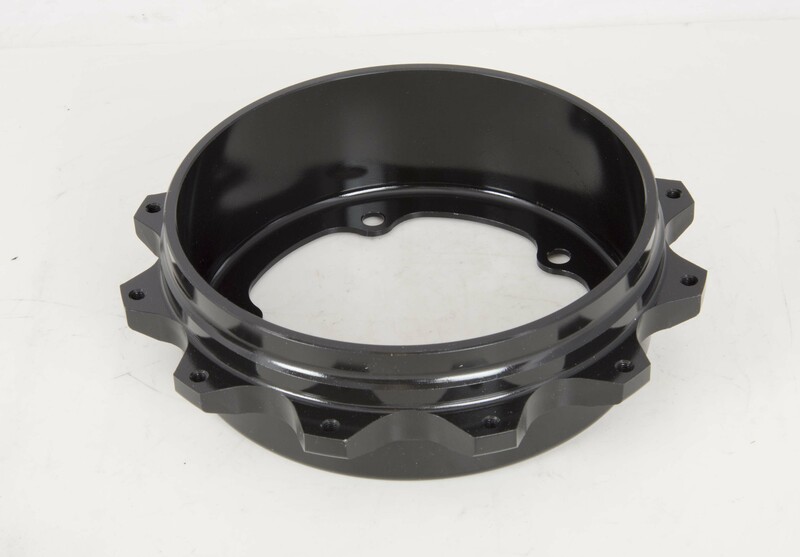 It is a ridged full floating design that increases safety and strength over traditional flanged axle assemblies. 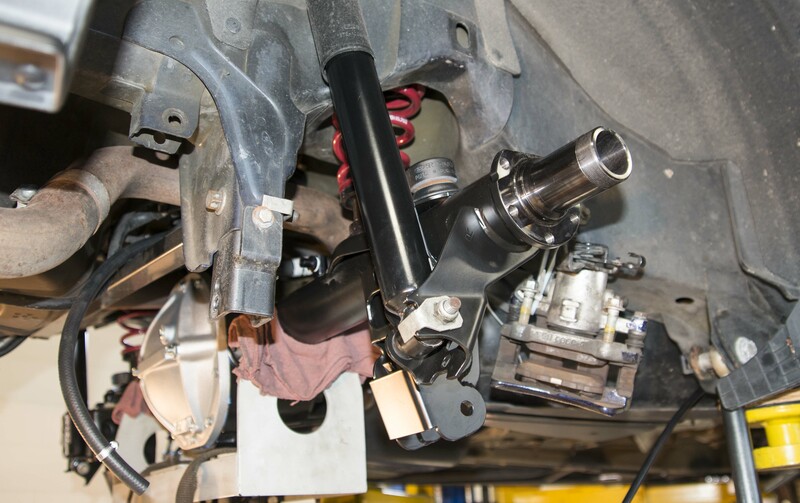 The floater spindle design supports your vehicles weight and leaves the axle only responsible for transmitting torque and not cornering, braking, and acceleration loads. 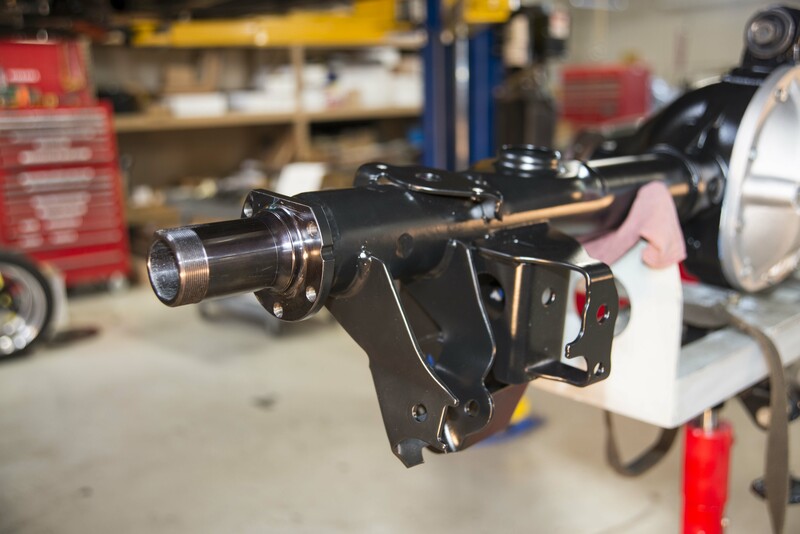 Axles for this kit are made from a thru hardened Hy-Tuf alloy for much more torsional strength than an inductioned hardened flanged axle. 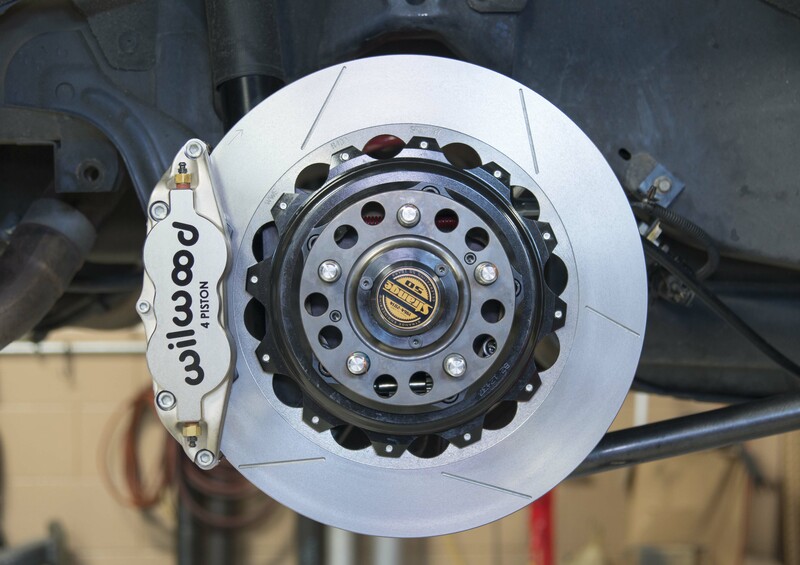 This is great for high horsepower street/track cars. Plus if an axle does break your wheel is not in danger of coming off. 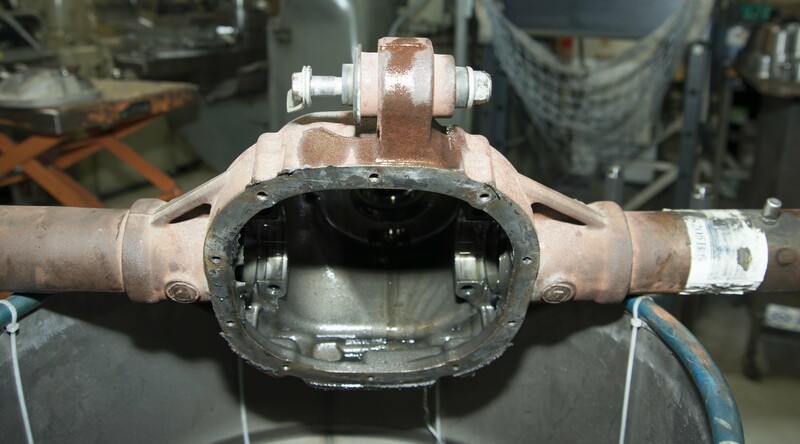 The system has two large opposing tapered hub bearings that can handle extreme side loads, and the solid preload spacer ensures proper spacing preventing over-tightening and promotes long bearing life.As far as performance is concerned, brake performance is improved because brake pad knock back is eliminated. 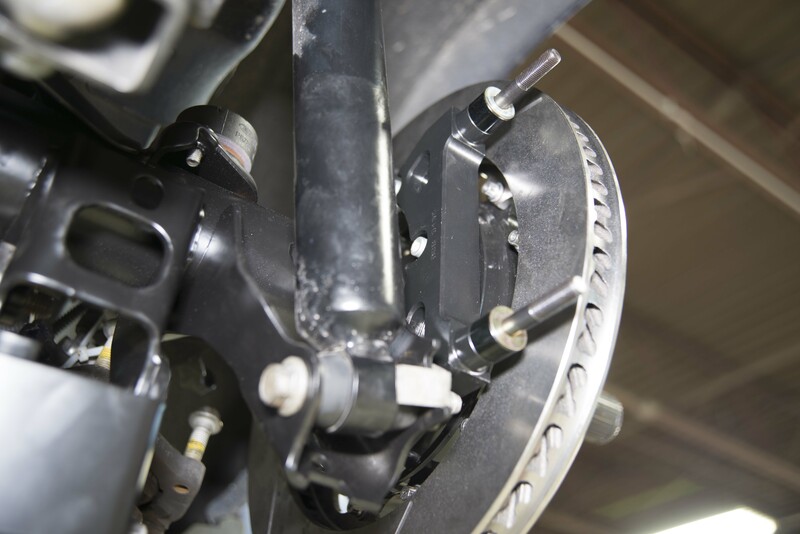 This provides better pedal feel and more consistent braking. 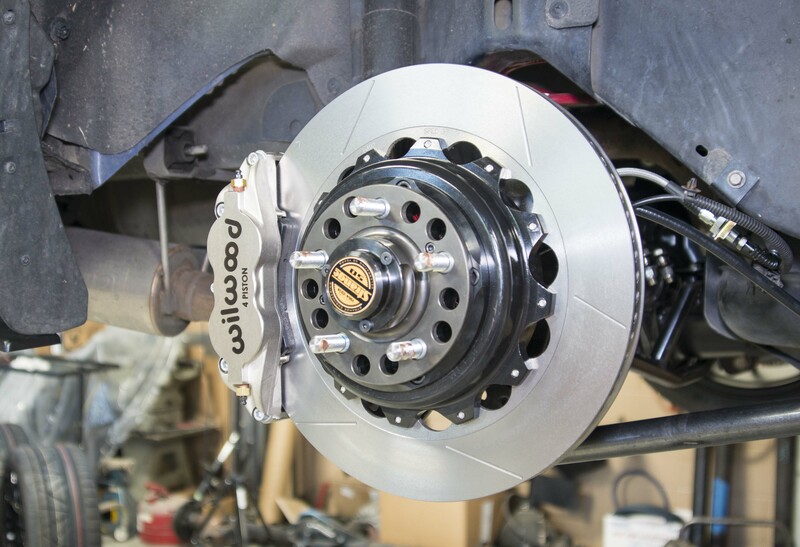 The kit allows for larger rotor and caliper options for better braking performance over a stock combination. Here is a cutaway of the spindle assembly. Pull your 8.8 housing and empty it out and prep it for welding. 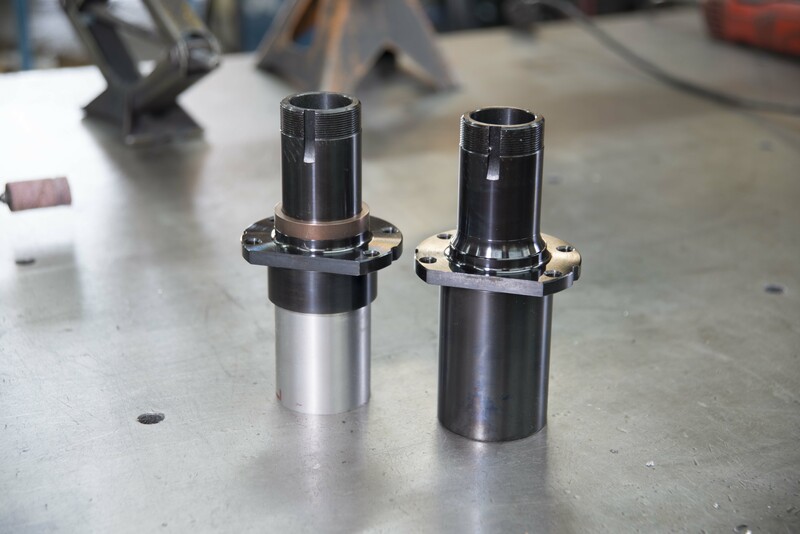 Here is the Strange Floater black oxidized 4130 hot rolled steel spindles before and after turning to fit your specific tube diameter. 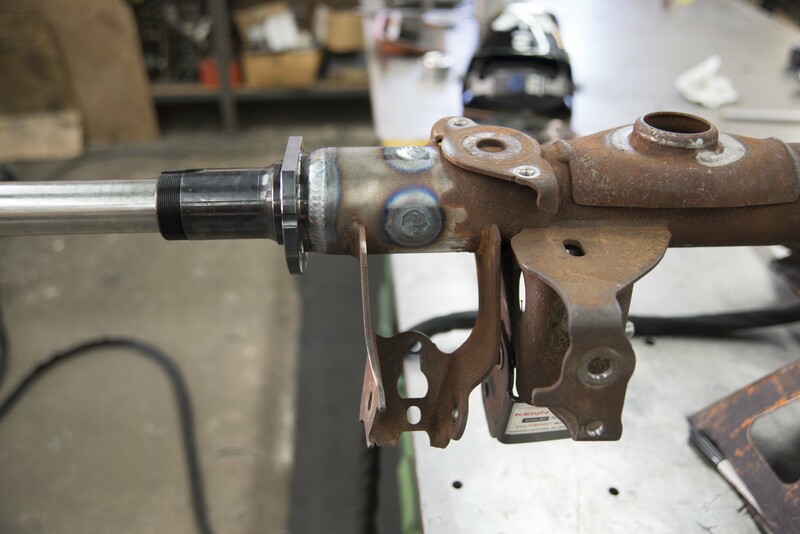 Take it to your favorite fabrication shop. 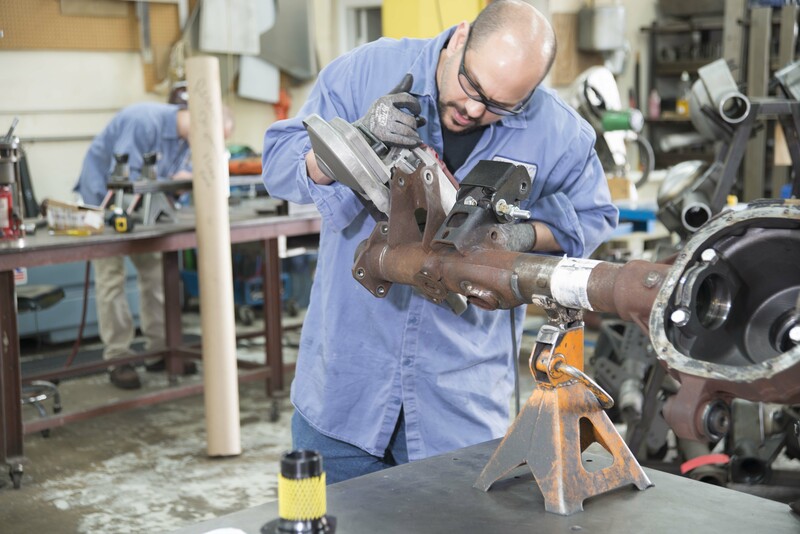 Mine happens to be VRN Welding and Fabrication. 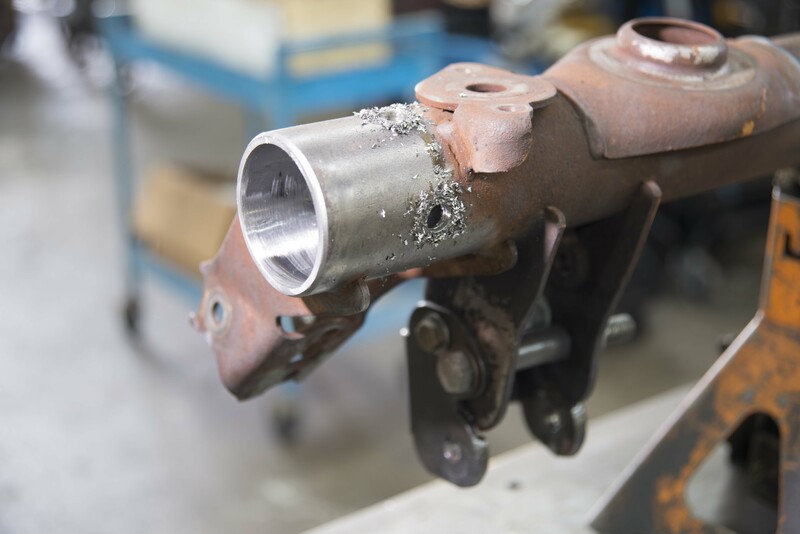 They will cut the axle tubes to the length specified. Cut Carefully. No going back. Now the axle tube is drilled for welding plugs placement. 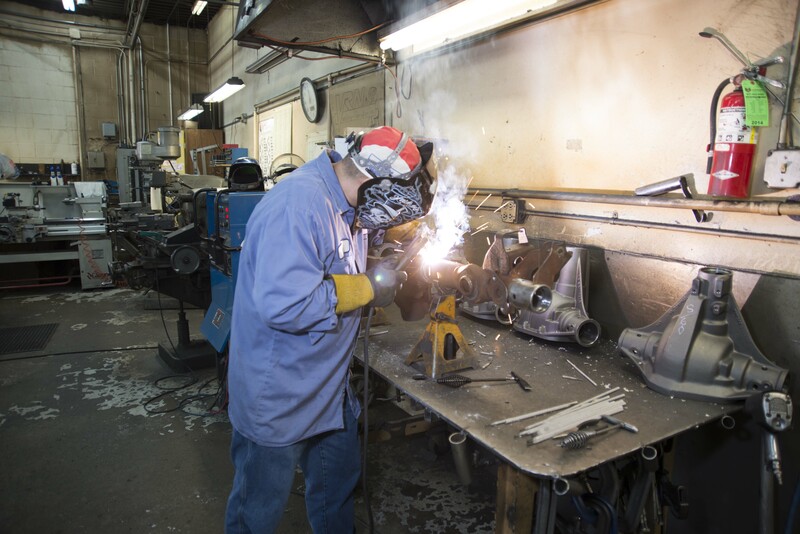 Welding the axle tubes at the center and then the floater ends. Here is the spindle welded on the tube. The weld must be leak free. Note the line up bar for proper alignment. 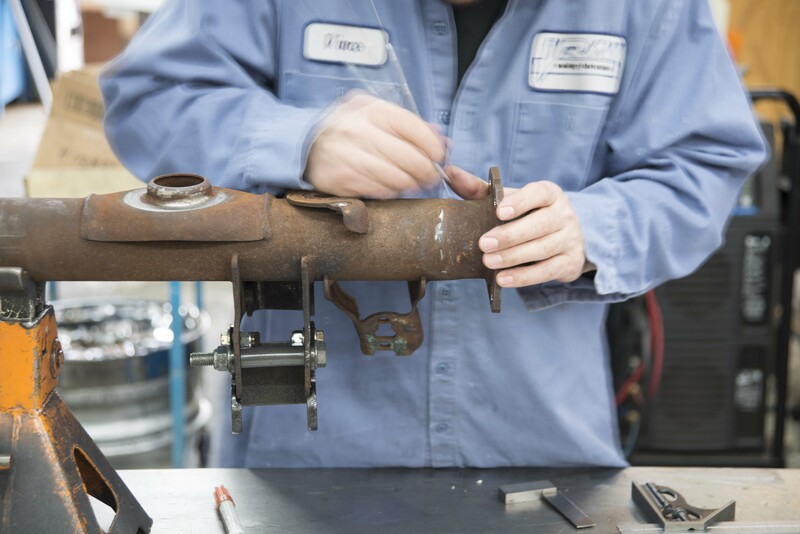 Proper alignment is critical to proper trouble free performance. 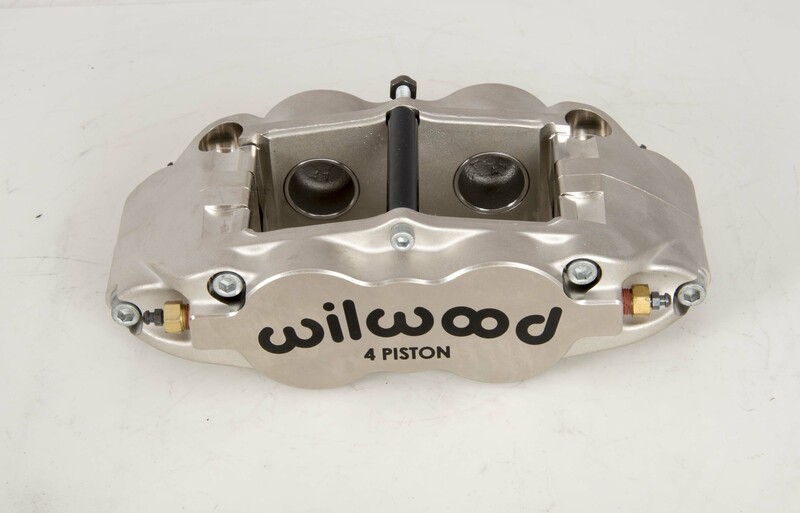 Here is a Wilwood 4 piston rear caliper in their new Nickel color. 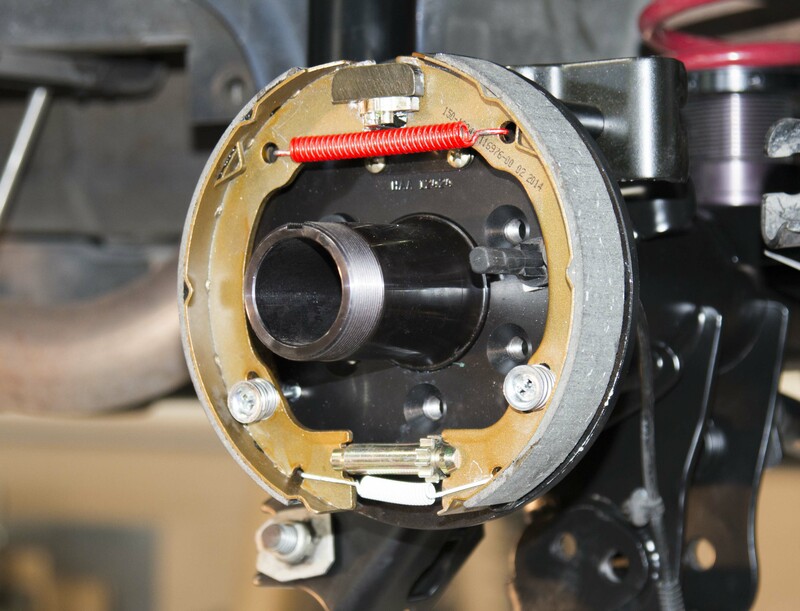 The brake calipers are mounted on a radial bracket versus the stock side mounts. This allows for more adjustability and less flex. 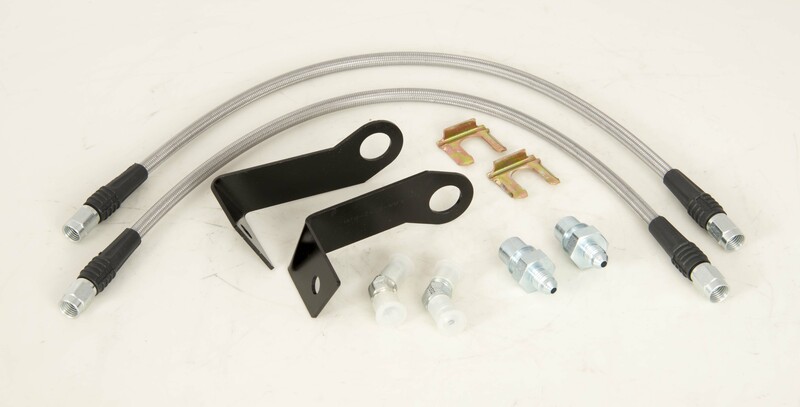 The kit also comes with new stainless steel brake lines. Here is the Rotor Adaptor/Parking brake drum that bolts to the hub. 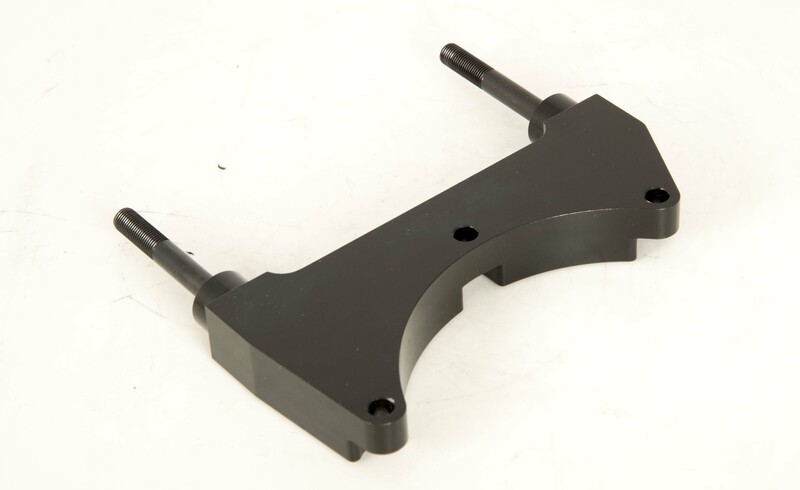 Here is the final spindle mount product. 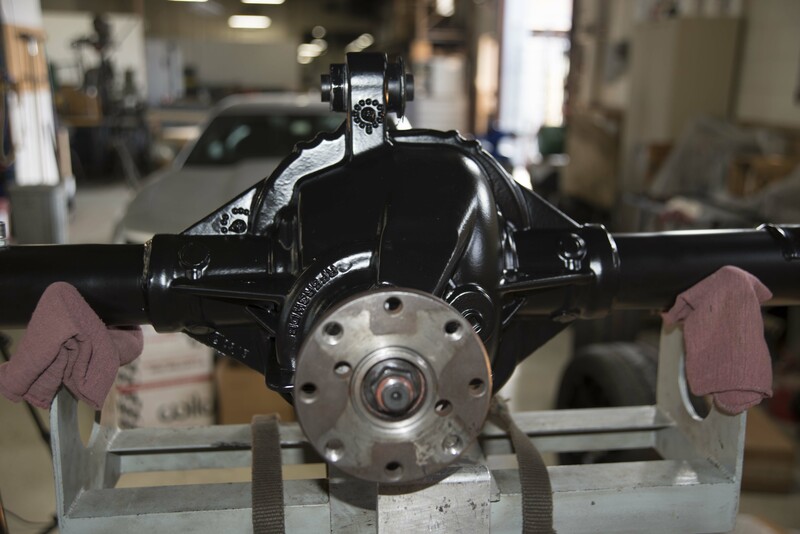 The rear housing was powdercoated black after it was welded. 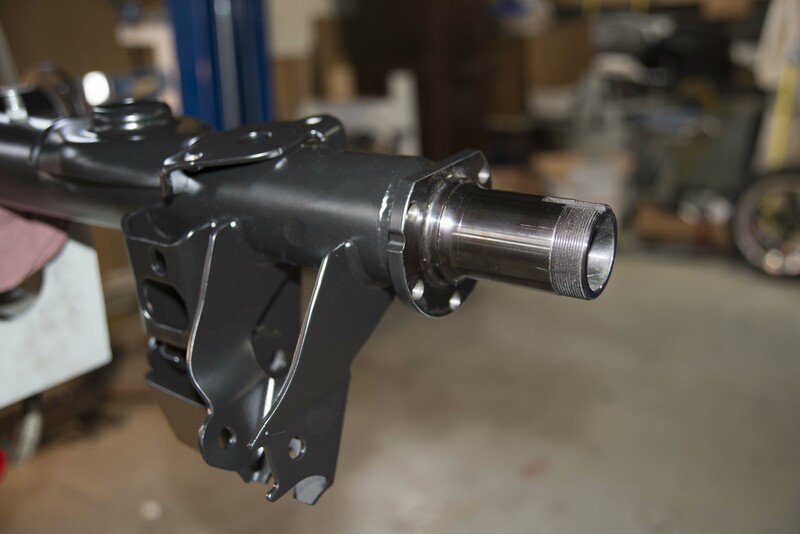 Here is another shot of the finished spindle on the fully reassembled housing. Pinion side. Note the bushing was replaced with a new one as the old one would most likely not survive the heat of powder coating. A new Strange LPW preloaded cover. Now the housing goes back onto the car. The housing lift is a great tool. Here is the brake backing plate assembly attached to the spindle. The kit does retain your ABS if so equipped. Here you can see the radial bracket and rotor installed. The Strange Kit is a work of art really. This is the finished shot of the Strange/Wilwood Street Floater kit. 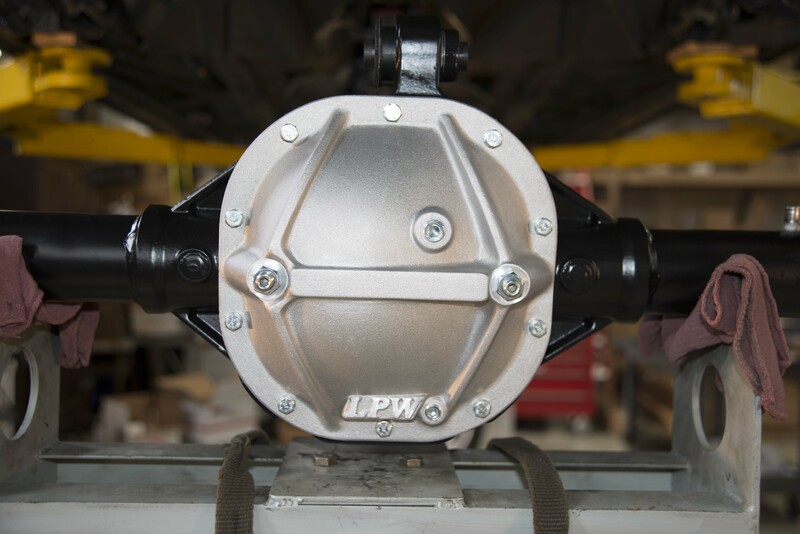 Pair this with a Wilwood front brake kit and you will be ready for any autocross or road course out there. Here is a video overview of the Install. Mustang is a registered trademark of the Ford Motor Corporation. v6mustangperformance.com is independent from Ford and is not affiliated with, sponsored or supported by Ford. Copyright/trademark/sales mark infringements are not intended, or implied. © 2018 . All Rights Reserved.